"We gave this to our daughter for Christmas. 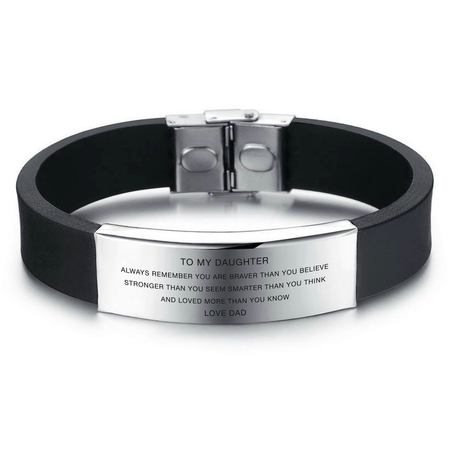 When she opened her present, and read what was inscribed onto this bracelet it brought tears to her eyes & she immediately put it on. Thank you so much, you helped make Our Christmas beautiful & memorable <3"
I was a little surprised how tiny the text is, but I wasn't thinking of how much sentiment is on a small space. Apart from that, it's very well made and I'm sure my daughter is going to love it.